I am Jacques Nève, and I am a clockmaker. My passion for clocks was started accidently by my late father, Georges Nève, who was a collector of fine watches and used to fix his own clocks. Clockmaking is for me the best of both worlds: a great love of beautiful antiques and works of art, and a major interest in mechanics. I learned my trade mostly in Australia with two excellent teachers; Doug Minty and Trent Firth at the Sydney Institute of Technology which can boast to have the best watchmaking school in the Southern Hemisphere. I also learned a lot of my skills from my old master Frank Percival and from an old clockmaker friend, Les Wilson. I left Australia in late 1997 and moved my clockmaking business to Belgium, not far South of Brussels. My collection of clocks are now exhibited every year in various prestigious European antique fairs, and exclusively now at the BRAFA (Brussels Antique and Fine Art Fair). I am now also a member of the Belgian Clock- and Watchmakers Association (ANHR), the Royal Chamber of Belgian Antique Dealers (CRAB), and the French National Chamber of Specialised Art Experts (CNES). I am Charles de Villegas and I generally love science. After some engineering studies, I got interested in clock- and watchmaking after a few weeks trial work in Jacques Nève’s workshop. This period was a real eye-opener and great discovery of a world with a perfect mix of fine mechanics, Art History and Decorative Arts. 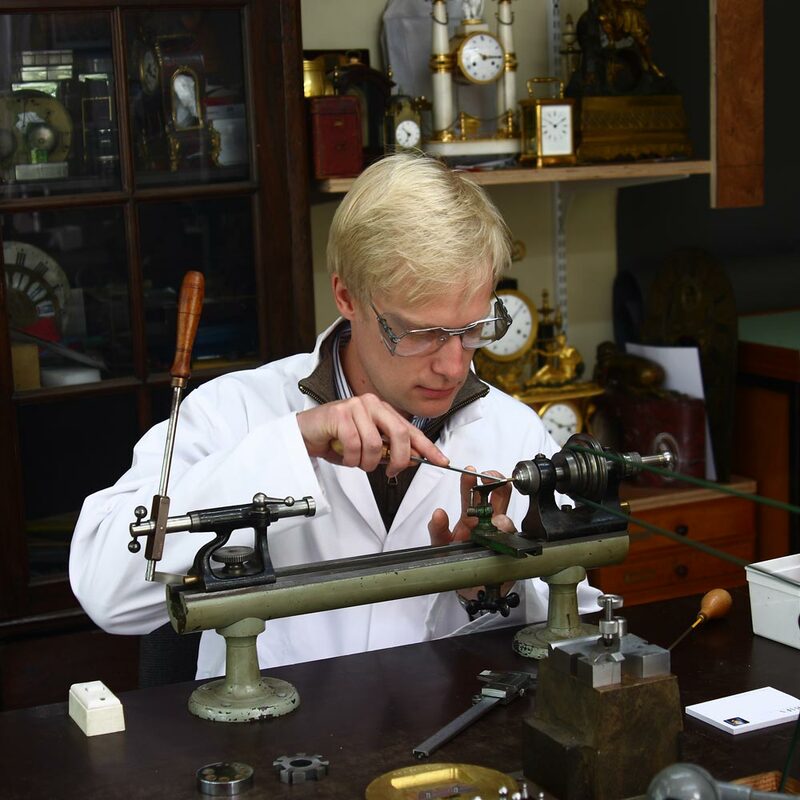 After successfully completing the course at the AFPA Besançon, -the best watch- and clockmaking school in France- and an internship with Patek Philippe in Geneva, I joined Jacques’ team to complete and polish my newly learned skills. With the practice and experience now acquired, I am now fully dedicated to the restoration of clocks. 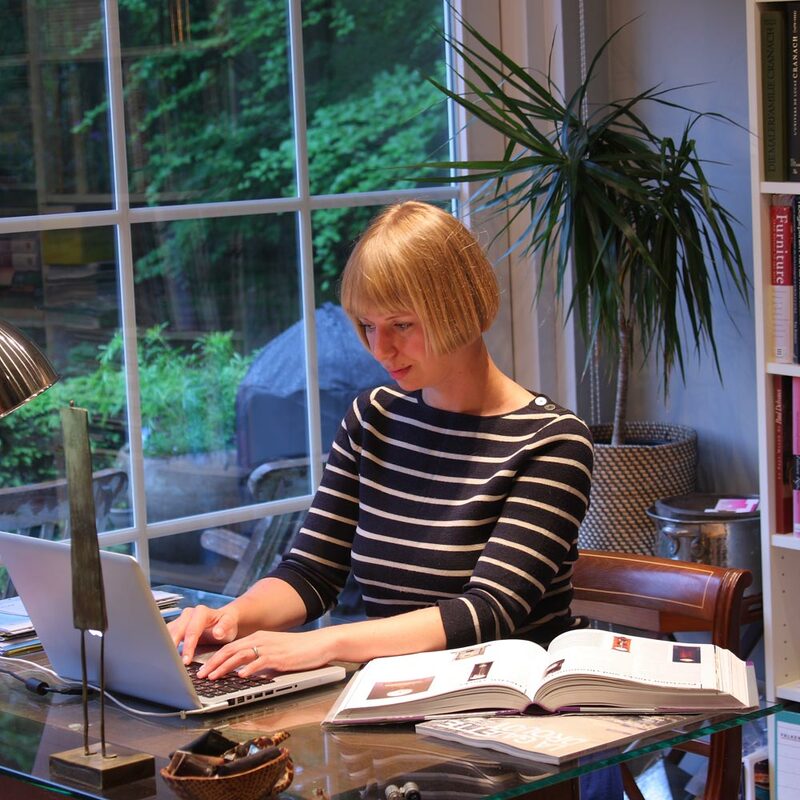 I am Sophie Clauwaert and I’m an Art Historian with two Master degrees from the Université Libre de Bruxelles, and from Sotheby’s Institute of Art, London. My work experience is mostly with English and Belgian Institutions (Victoria and Albert Museum, MHKA, Museum of Fine Arts Brussels and Bozar) and international Art-related services (Sotheby’s, Art Solution, Macintyre Art Advisory, etc.). My language skills include French, Flemish/Dutch, English, German, Modern Greek, with advanced comprehension and translation in Latin, Ancient Greek and Ancient Flemish. I love sports, too, like horse riding and scuba-diving. I generally look after all the translations, public relations, and sales, purchases and overseeing of the international fairs in Jacques’ team. I am Chantal Grangé, and after graduating with degrees in Art History and English, I joined the Paris auction house Ader Picard Tajan in 1984 as Department Head of Old Master Paintings & Drawings. In charge of organizing prestigious auctions at Drouot Montaigne and the Hotel George V, I managed signature auctions like the 1988 sale of the Roberto Polo Collection. In 1994 I co-founded an Old Masters picture gallery and appraisal service with René Millet before opening my own Galerie Chantal Grangé on the left bank from 1999 to 2008. A gallery specialized in nineteenth-century paintings and drawings, my clients included numerous museums and private collectors. Certified as an expert at the C.N.E.S in 2008, I have since diversified my activities, working for prominent international galleries and participating at the last two Biennale des Antiquaires in Paris. In 2011 I created L’Art et ses Services in partnership with Nadine Lennox to provide a range of six services dedicated to the art market: Art Expertise & Inventories, Auctions & Private Sales, Research, Translation, Décor and Paris Art Tours. 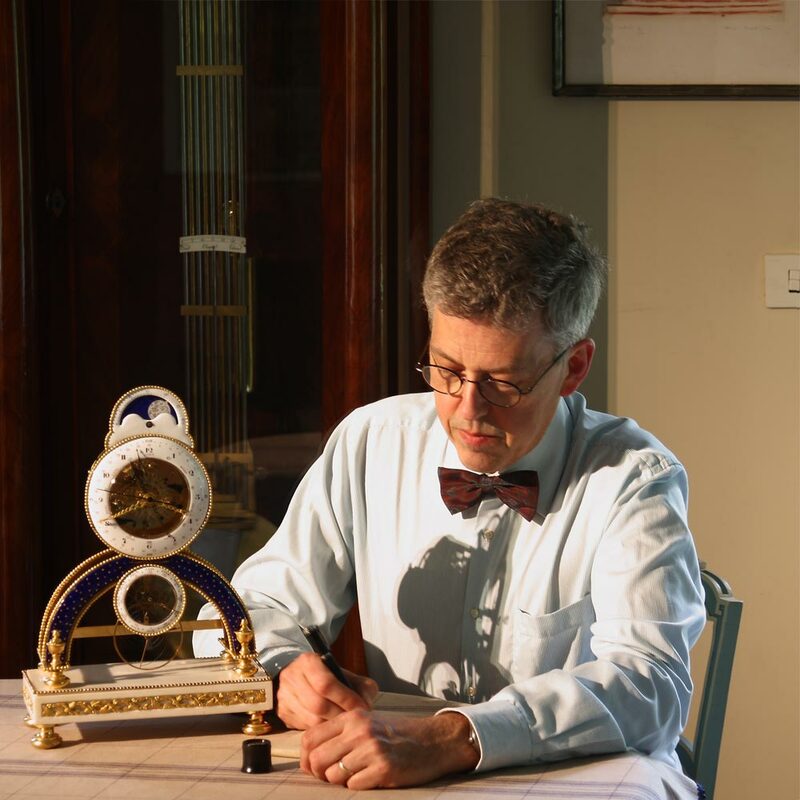 I began collaborating with my colleague, the horologist, Jacques Nève in 2011, providing my research skills to document unusual pieces in his clock collection. Richly illustrated and carefully researched, my reports written in both French and English serve as communication pieces displayed on iPad screens throughout Jacques Nève’s stand at the prominent Brafa art and antiques fair, which takes place each year in Brussels. These reports are also available as pdf documents for for all clocks for sale on this internet site.